Currently I have a major obsession with J.Crew and having a new sale every week doesn't help. When I first saw this vest, to be honest, I hated it. But after seeing it in stores and on Pinterest, I gave it a go and seriously, it is the new must have vest this season (Fall/Winter). You maybe thinking you won't get enough wear out of it or this is too trendy and will only last the season. Right now everyone is dying to get their hands on this vest, similar to the herringbone one they came out with 4 years ago. This will be around for a couple of years (it actually came out last year) and will add so much to an outfit! For sizing I recommend sizing down. This fits the same as the excursion vests, so just order the same size you get in that. Today only, that vest which is already marked down, is now an addition 25% off and free shipping on all orders. In other news, it's packing time! Tomorrow I leave for the airport at 3:30am (lol, what is sleep) and haven't even started packing or even done laundry yet. Fingers crossed it gets done before I leave. I think for this trip I am going to try to Vlog, we will see if I feel motivated to do that. If you have any New York City recommendations, leave them in the comments below! Food, places, shopping, seriously anything! Happy Wednesday! I saw that vest in the store and it looked soooo cozy! Love it! 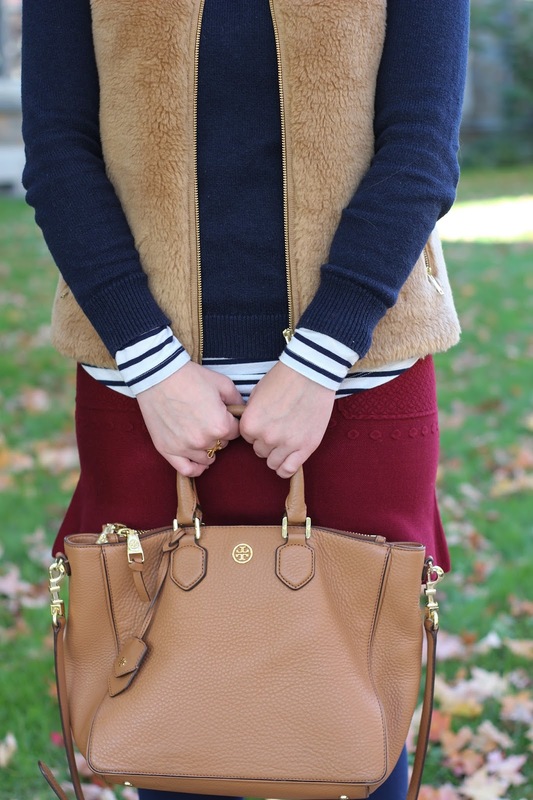 Such a cute and cozy look for fall! I love it! I love, love, love this vest! I have been eyeing it for a few weeks now, and I think you've convinced me to pick it up! How cute is that fuzzy vest?! Love it! 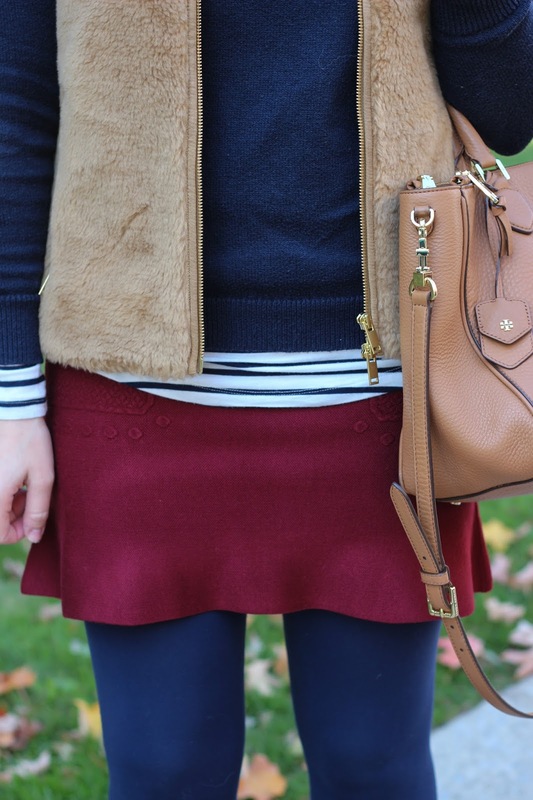 Love all the layers! You're going to have to teach me some tips now that I'm in Chicago! That vest looks so cozy! Love this layered look! That vest looks so warm and cozy. Love the color! Loving this layered look! Cute vest! !